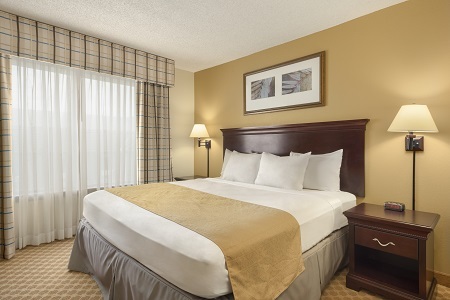 The credit card listed on a reservation will be pre-authorized at 6:00 p.m. hotel time on the day of arrival. If the card is declined, the reservation will be canceled. Debit card authorizations will go through as a charge. 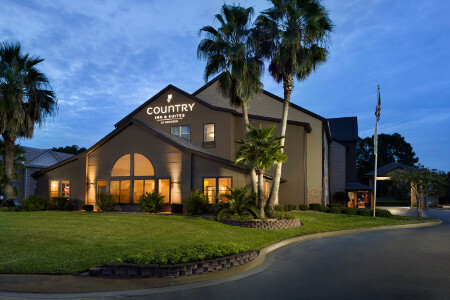 Situated off I-95, the Country Inn & Suites® by Radisson, Kingsland, GA keeps you close to Cumberland Island National Seashore and Crooked River State Park, where you can roam the marshlands on a guided boat tour. For a relaxing stroll, explore the antique shops and unique restaurants in downtown Kingsland. Visit the Kings Bay naval base just six miles from the hotel, or discover the charming coastal town of St. Marys only eight miles away. Traveling with family or need extra space? 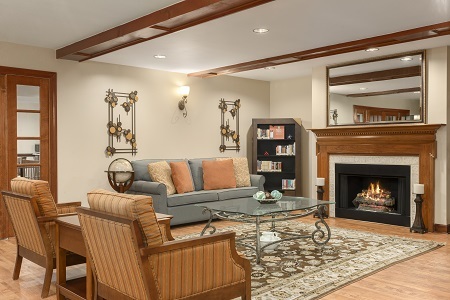 Reserve a One-bedroom Suite to enjoy a king-size bed, a separate living room with a sleeper sofa and all standard amenities. Start each day fueled with our free, hot breakfast, which features waffles and breakfast burritos as well as lighter fare like fresh fruit and yogurt. For lunch or dinner, head next door to Outerbanks Steak & Seafood, visit Cracker Barrel, less than two miles from our hotel, or try one of the other nearby restaurants. Historic St. Marys – This charming southern town, just 15 minutes from the hotel, is your gateway to Cumberland Island. The town is also home to the St. Marys Submarine Museum, a huge collection of nautical relics and handwritten histories. Experience an interactive submarine exhibit and a 40-minute film. Cumberland Island National Seashore – Drive nine miles from the hotel to hop on the ferry at St. Marys, the only way to reach these protected marshlands and beaches. After the peaceful ferry ride, explore an island where wild horses roam through the ruins of a Carnegie mansion. Crooked River State Park – Located 20 minutes from the hotel, this state park offers more than your average nature walk. Expert park rangers teach regular classes on important skills like shelter- and fire-building, and guided boat tours give you a chance to spot dolphins, manatees and bears. Need an inviting space for a professional or social event in Kingsland? Our meeting room can seat up to 20 guests. 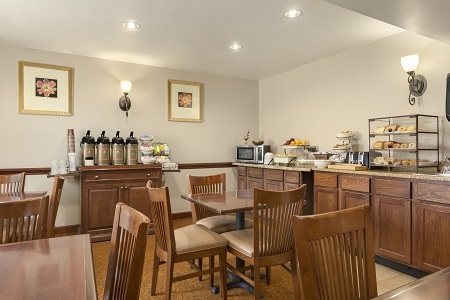 Take advantage of free Wi-Fi along with other helpful amenities. Our dedicated staff is on hand to help with everything from event setup to audiovisual equipment rentals.